Dramatic music keeps the artificial tension heightened, perhaps because not a lot happens otherwise. A worthy house and worthy restorers fulfilling the 'Aussie battler' roles nicely. But one wonders how this story differs from any of the thousands of amateur fixer projects that abounded in Melbourne and Sydney from the late 1960s. The sandblasted brick feature walls and stripped back floor boards of my high school teachers' Carlton terraces were the progenitors of this episode. Clumsy propping and smashing was the order of the day then too. A couple of times I thought of Basil Fawlty's shonky builder with his inadequate lintels holding up the load bearing wall. And why do we keep hearing about the convict bricks; how can you tell? - is this just a short-hand derogatory term for any sub-standard hand-made bricks. The Order-in-Council ending transportation to New South Wales, is dated 22 May 1840 and only a handful arrived in 1842 and 42. 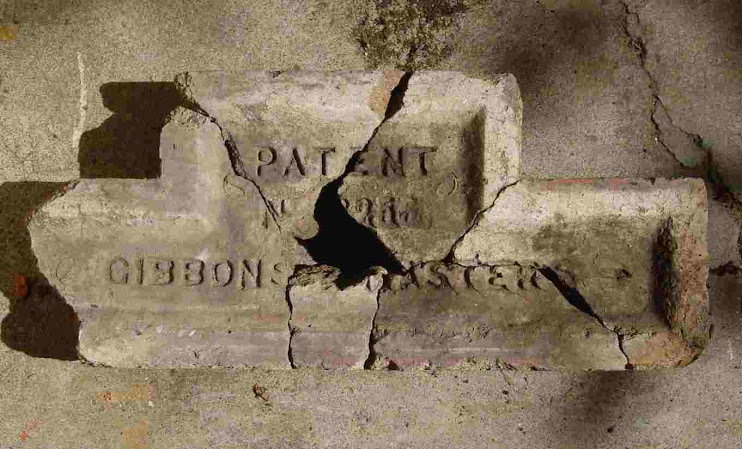 Convict gangs may have been still making bricks in the 1840s, but private companies and freeman brickmakers were commonplace in the 1840s. 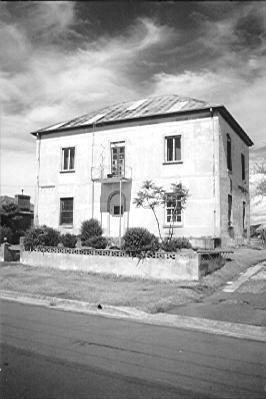 Brickfield hill near Castlereagh St. was the centre of Sydney brickmaking until about 1840, when many brickmakers were forced out to places such as Glebe, Newtown, Redfern, Camperdown and Waterloo, and further afield. For example Captain Westmacott Aid-de-camp to Governor Richard Bourke, settled near Bulli in 1837 and was a brickmaker among his many endeavours. While some convicts or ex-cons may have provided labour, these were run as private businesses, so non-convict bricks were widely available.. 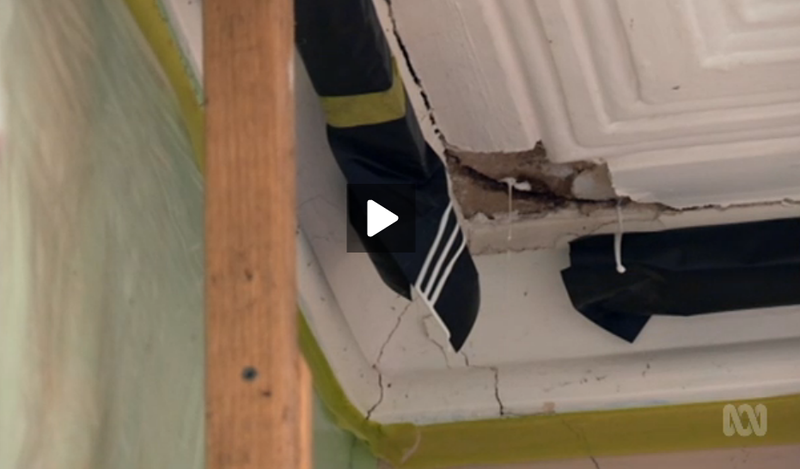 Some more sophisticated analysis of the bricks might have made better television (like the Timeteam experts in everything) and also offer some hope to all those other renovators struggling with rising damp and crumbling convict bricks. 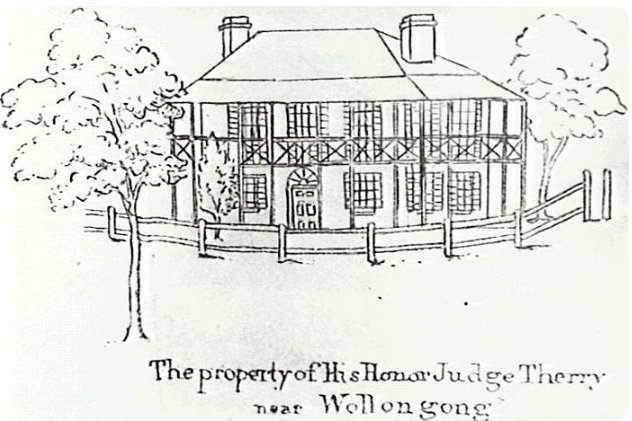 But getting back to the drama; Harold and Jenny have taken on a dream to fix up Judge Roger Therry's 1843 home, referred to as Wollongong's oldest house, Although others claim this title too, such as Little Milton from the 1830s. The render clearly was a not terribly successful attempt to do something about the poor quality bricks, and given the extent of decay, the possibility of returning it to its nineteenth century appearance seems very remote. A refiring program like that used at Port Arthur would be impressive to see however. There is some interesting actual restoration taking place too. The poured on ceiling repair looked like a sloppy mess, so what did they actually use, and how does it actually work? Lots of patching brickwork and replacing render going on but the details of the mix were covered in Episode 2 so maybe they don't need to go over them again. 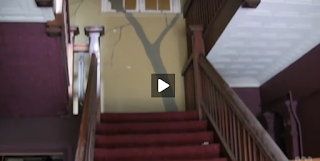 And what about the staircase. 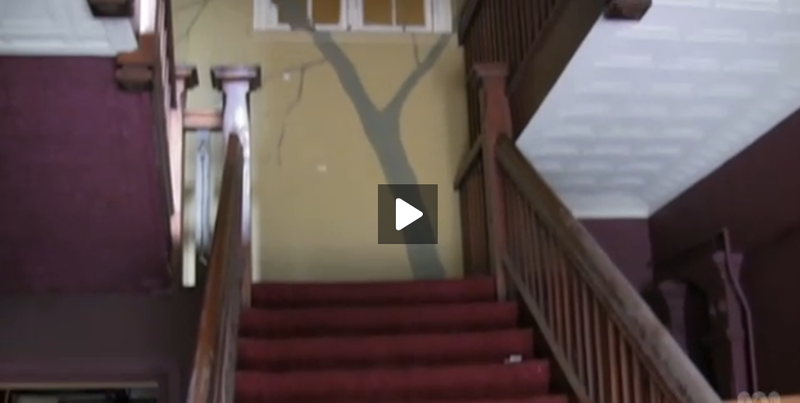 there is an 1852 staircase going in Geelong that they miss-out on. 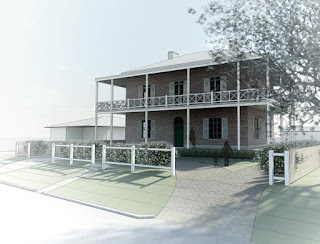 Anyone know what 1852 house in Geelong is being wrecked? The owners were indicated they were trying to negotiate the tensions between restoring a heritage building and complying with building standards. But that had been covered in Episodes 2 and 3. 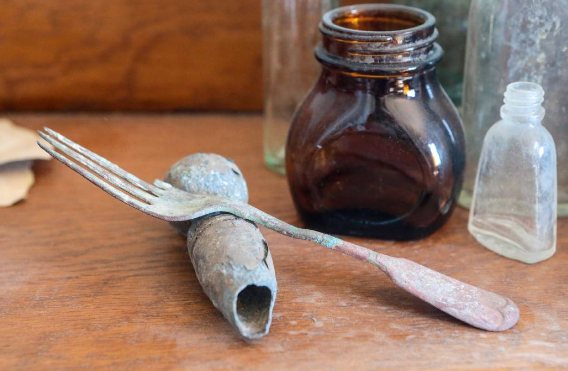 I read elsewhere, that an underground cellar which was used for root vegetables, was un-earthed, and 1920's car parts were dug up in the garden. 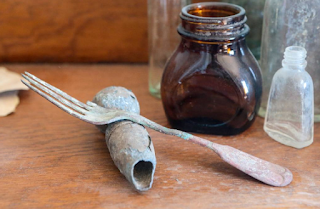 Sibella's blog has some arty pictures of old bottles and cutlery - is this more archaeology going un-permitted and unrecorded? But the main thing, is the lack of time, despite the couple of years in the making, that means we don't really see much happening here. After smashing concrete and cracking off render, there seems only enough energy to produce a distempered wall finish which is clearly on-trend, even if entirely accidental. It might be part of the leftovers of shabby chic style, or even the fad for ruin aesthetics. 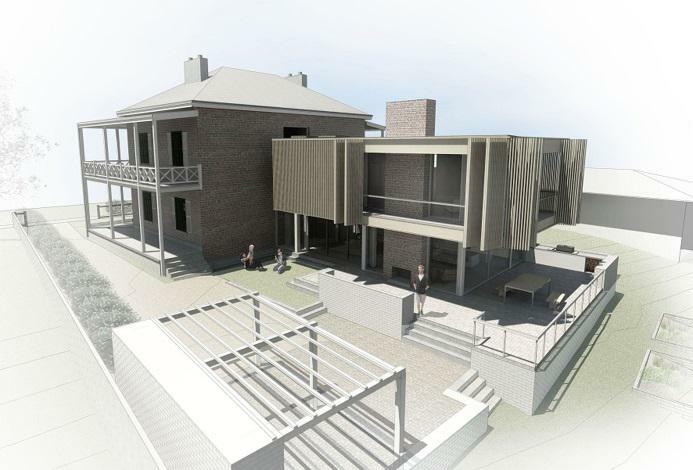 We get a teary glimpse at the architect's rendering of the restored house, with its verandahs back in place. There is also a very modern rear addition not shown in the program, which might just be a fancy of he architect, or could be intended to replace the missing service quarters. the underlying value is one of status and snobbery. People who always wanted to live in the big house on the hill. something that will one day be impressive and give one a sense of self worth. A couple of comments go to the idea that you need to be rich and it will cost a fortune to fix up a house such as this, ignoring the sociology of so many people over-investing in their houses for personal and aesthetic reasons. Some references to check up on those 'Convict Brick'. Dawes, A. 1935. Early brickmaking in Australia, The Clay Products Journal of Australia 1/11/1935. Pavlou, 0.1976. The history of bricks and brickmaking in N.S.W. 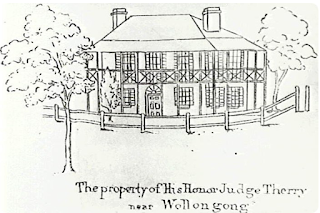 1788-1914. Unpublished B.Architecture thesis, University of N.S.W. Restoration works are never an easy project to undertake which involves various series of development processes that can be time-consuming. There is the removal of the house contents to be put in self storage to make way for renovations, replacement of dilapidated parts, and so on and so forth. However, the end result will definitely be well worth it all. Oh my goodness, look at that rendering. I can't wait to see what the finished building is going to look like! There are lots of old buildings like that in Joondalup where I live, but none that mesh the new and the old quite like what this one is trying to achieve!